Decided to spent the Independence Day at Rizal Park which I haven't seen in long while and I wasn't disappointed. 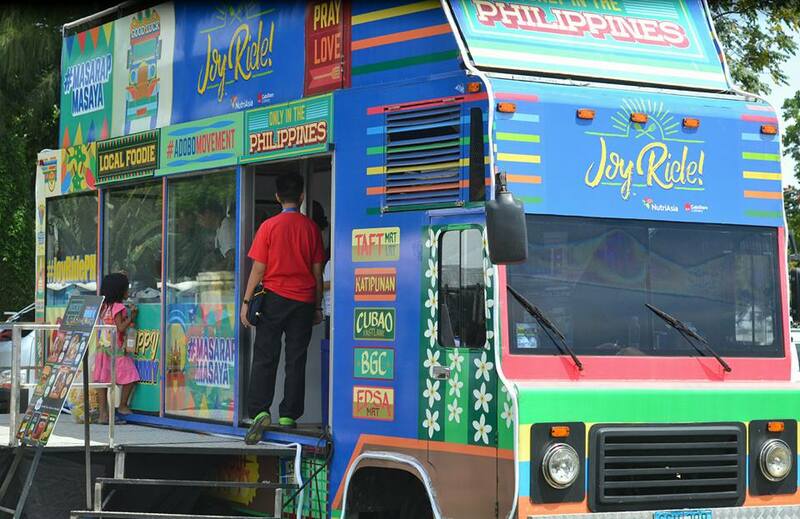 Visited the Joy Ride! 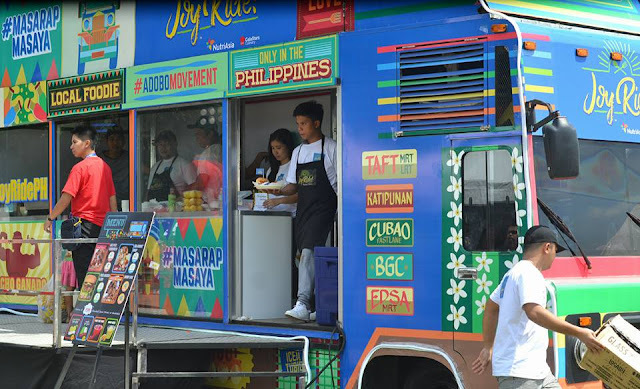 by NutriAsia food truck in Luneta to have a taste of both traditional and new Filipino comfort food made with quality products of NutriAsia. 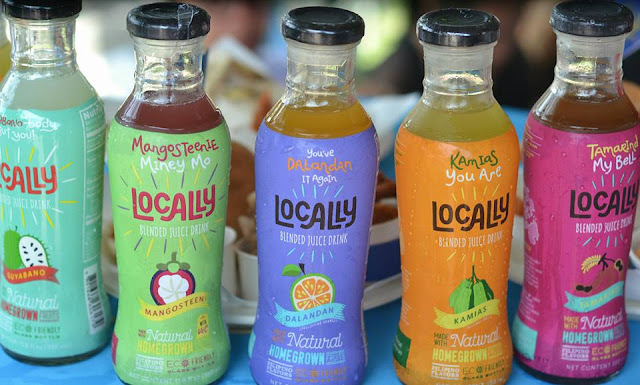 NutriAsia is a powerhouse of beloved, timeless, and iconic Filipino food brands, including Datu Puti, Mang Tomas, UFC, Papa Catsup, Jufran and recently ventured into beverages via Locally. 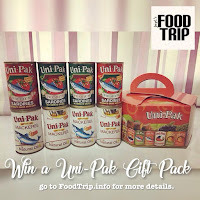 The chef appreciates the fact that the leading condiments brand in the Philippines offers well-known products like Datu Puti and Mang Tomas, and that its excellent pre-mixes make cooking a lot easier, especially for harried homemakers. The Joy Ride! by NutriAsia’s bill of fare offers meals like Adoburrito, with a choice of Spicy Adobo and Humba Adobo, a dish popular in the Visayas. 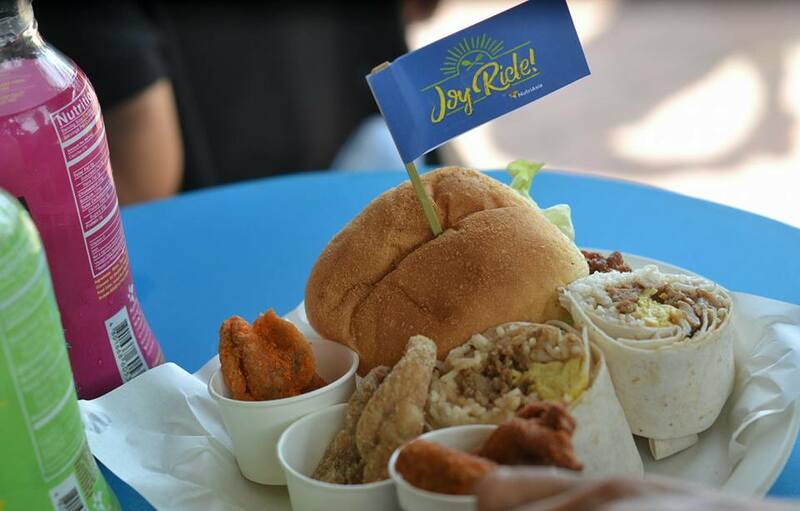 The Adoburrito wrap is a combination of the popular adobo and burrito, created with highly mobile young professionals in mind. 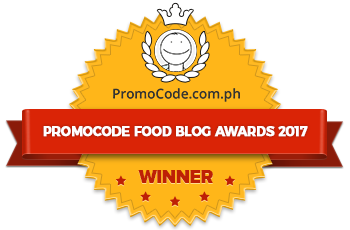 Acknowledging that each and every region in the country has its own version of adobo, NutriAsia, de Leon avers, puts their Datu Puti adobo series to maximum use. 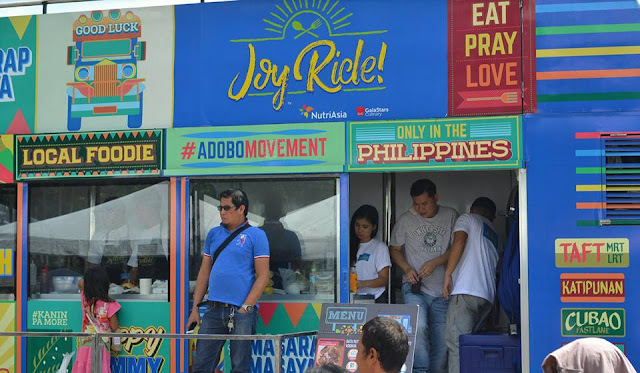 Other food choices at Joy Ride!, de Leon discloses, are based on crowd favorites, usually a combination of dishes that are well-liked in the metro as well as in the provinces. 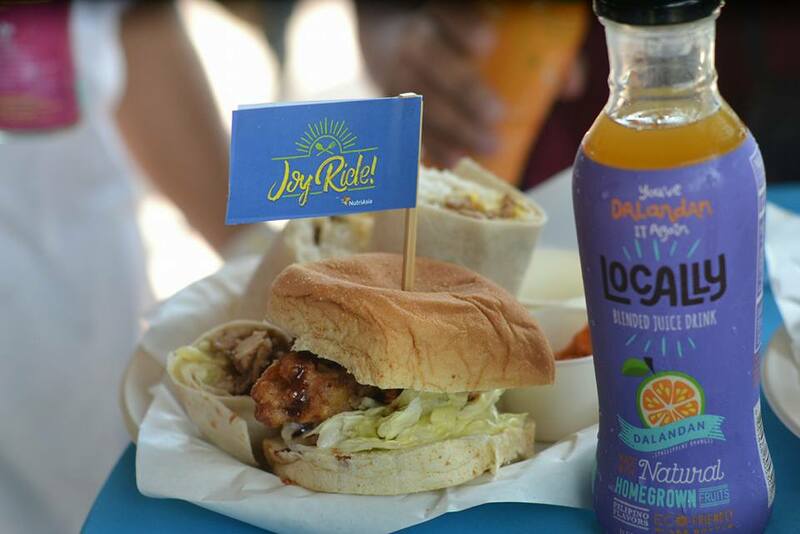 De Leon recommends the Pinoy Chicken Slider served with pan de sal and the Siga Bagnet Wrap, which is prepared using Mang Tomas Siga, a spicy version of the regular Mang Tomas sauce. It also has Datu Puti vinegar and cucumber to give it a kick. Meantime, the crowd favorite, Skinny Chix, is street food made crunchier and more flavorful by using NutriAsia’s recently launched, first-in-the-market Golden Fiesta Big Crunch Fry and Shake, a breading mix in smoked barbeque, cheese, and sour cream variants. Prices at Joy Ride! range from P40 to P80. The brand makes their offerings as affordable as they can because they want everyone to have a taste of their food creations. The serving portions are likewise larger than average, perfect for sharing. Catch Joy Ride! 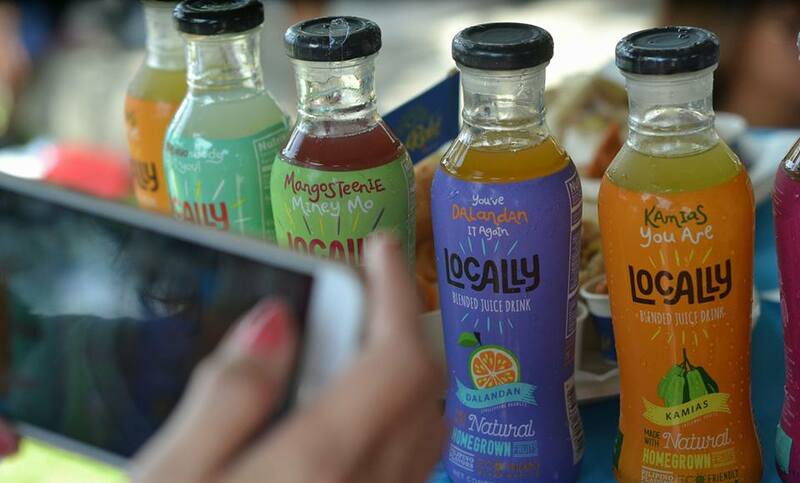 by NutriAsia soon in food parks, bazaars, events, and universities near you! That's nice! Skinny Chix looks nice and delicious but I think you'll crave for more since it looks like it has a small serving. But I really like the taste of their natural juices especially the Dalandan flavor. 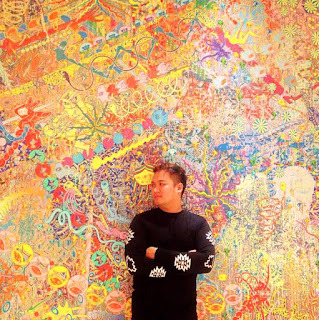 Anyway, there are lots of places of where to eat in Manila which you can try. Each of them has their own specialty.